We appreciate the support that our community shows us during our Annual Appeal every year. This year, every donation of $150 and above will be entered into a drawing for a 2019 Workshop ($455 value). The winner will be contacted in late January. We wish everyone luck! artists from all over the country (and Canada) who attended. Other notable firsts included our first Food Symposium early in the season, featuring speakers from Gourmet Magazine, as well as the inaugural season of winter artist residencies at Edgewood Farm. In addition, Castle Hill has just been named one of the Great Nonprofits of 2018. You should check us out their website at https://greatnonprofits.org/org/truro-center-for-the-arts-at-castle-hill-inc and read the fabulous reviews that we have been given by students, teachers and residents! This was the year that we truly became a dual-campus arts center, hosting a full schedule of visual arts and writing workshops, in addition to bi-weekly exhibitions. A remarkably rich variety of workshops ran the gamut from Cartographic Creativity: Using Maps in Art, to building your own 3-D Printer for Clay, to Beginning Oil Painting to Adobe Clay Figures and lots more. In 2018, Castle Hill served over 1,000 members of the Cape Cod community and welcomed students from 40 states and 7 countries. Together they attended 200 workshops, conferences, events and gallery openings. 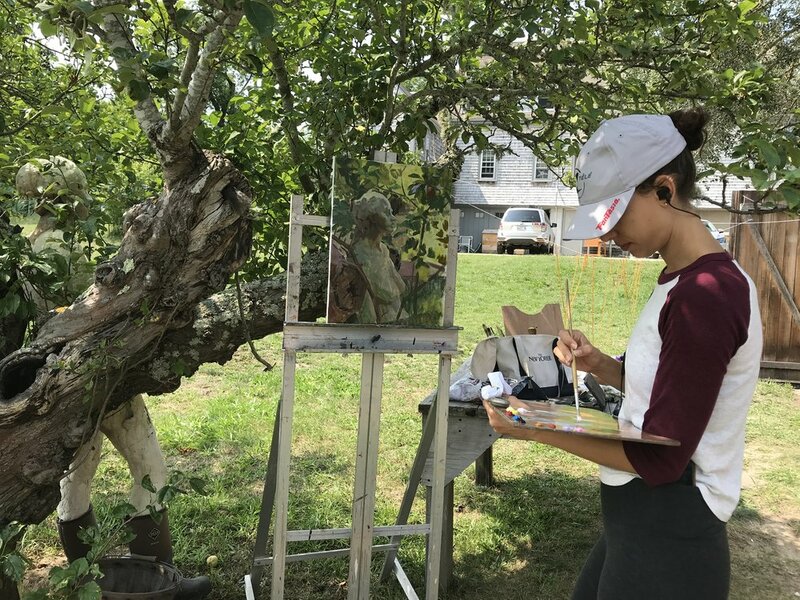 This summer, 54 students resided at historic Edgewood Farm as they attended weekly workshops, and this fall marks the beginning of the second year of our Artist Residency Program. After those of us who don’t have the privilege of year-round living on the Cape leave for the winter, Castle Hill doesn’t go to sleep - it doesn’t even take a nap! The ceramics studio, under the supervision of our new Ceramics Director, Chris Watt, runs a program of highly regarded and well-attended workshops all winter. Our programs for seniors engage local community members. We have artists in residence at Edgewood Farm & emerging potters residence at Main Campus where they all make work and interact with the community. Everywhere you look, great things are happening! A very exciting summer is now being planned for next year. 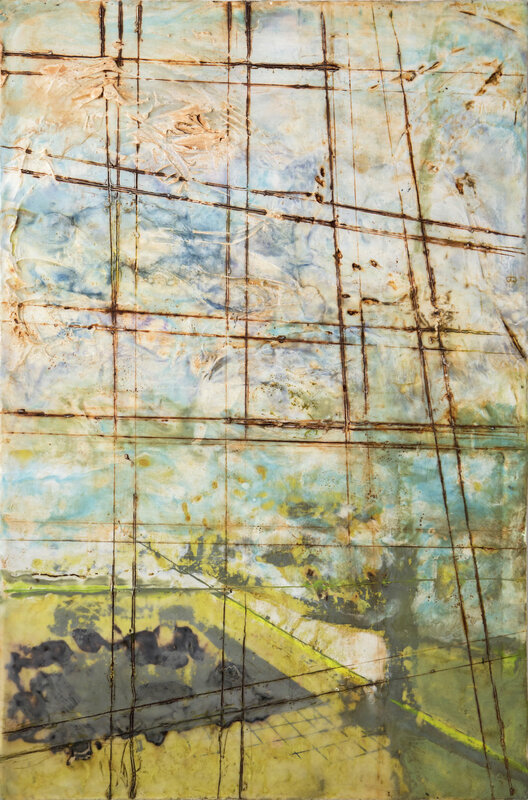 You can already go to our website to sign up for the 2019 Encaustic Conference featuring Judy Pfaff as keynote speaker, as well as dozens of pre and post- conference workshops, several of which are already sold out! Of course, all of this is only possible through your unfailing support. Over the past few years, you have responded generously to the calls to make it possible to purchase Edgewood Farm and to restore it, as well as to keep our programming at both campuses fresh and alive. You have stepped up at each challenge and we have used those resources to make Castle Hill an institution that we are all enormously proud of. Please help us with your year-end giving, as generously as you can. A non-profit arts education institution. In the summer of 2013, the family of Castle Hill co-founder, Eleanor Meldahl, presented us with a once-in-a lifetime opportunity to acquire her family property - the historic 8+ acre “Edgewood Farm”. Acquire Edgewood? The answer was resoundingly “Yes!" Here’s why. Edgewood Farm is one of the last large tracts of private land In Truro. Containing both historic and new structures, it is ideally suited to the program aims and needs of Castle Hill, is entirely in keeping with the values of this community to both grow and preserve the historic and natural beauty of Truro, and allows Castle Hill to introduce new program elements that build upon and open up our remarkable offerings to the community. It also allows Castle Hill to fulfill a long-time dream of offering an Artists in Residency Program. A community garden - bringing the farm back to "Edgewood Farm"
Updated wood/metal shops & fabrication labs to complement the ceramic studio for 3-D work. While we have acquired the property and begun restoration efforts, so much more needs to be done. Please be a part of our future! Your commitment to the Truro Center for the Arts at Castle Hill can extend beyond your lifetime. Help ensure that generations of future visitors and students will be inspired, educated and informed by great art. Consider Castle Hill as you plan for your financial future. A simple bequest in your will can provide an important gift that will honor your memory. Various tax-advantaged opportunities exist to provide current or future income for yourself, your heirs and the Center. A gift now to the School's endowment will provide perpetual income to support future programs and exhibitions. Please contact the director's office if you are interested in discussing a planned gift to Castle Hill. We will work with you to meet your personal philanthropic and financial goals while advancing the School's mission. A new law has made it possible to use accumulated assets in an IRA to support Truro Center for the Arts at Castle Hill. The Pension Protection Act of 2006 allows certain individuals to make gifts to charitable organizations directly from a traditional or Roth IRA without any tax implications. If you are age 70 ½ or older, you can give up to $100,000 a year for 2015 by transferring funds directly from the IRA to the School. Although not tax-deductible as a gift, the direct distribution is not reportable as taxable income to you and may help you meet your required IRA distribution levels. You can still use your IRA to support the School after your death by naming Castle Hill as a beneficiary. This helps avoid the payment of any estate tax by your children or other individual beneficiaries. With this new law in place you can also experience the positive result of your generosity on Castle Hill programs while you are living. It’s also a great way to make a pledge payment or just give Castle Hill an extra boost. For more information about Planned Giving contact Cherie Mittenthal, Executive Artistic Director, or call 508-349-7511. Truro Center for the Arts at Castle Hill, Inc, is a Massachusetts charitable corporation, exempt from taxation under section 501(c)(3) of the Internal Revenue Code. Donations are fully tax-deductible as allowed by law. Castle Hill remembers our long time friend and board member for over 25+ years. She served as chair of the Membership Committee, organized food for many Castle Hill parties and auctions, and sat on many CH committees. She was always a strong voice in the arts and she was respected and listened too. We will miss her hugely. She not only was involved with Castle Hill, she was also involved with: WOMR, Wellfleet Harbor Actors Theater, Provincetown Film Society, Lower Cape Outreach Council, and the Cape Cod Symphony. She helped found Indivisible Outer Cape after Trump was elected President. She was on the Provincetown Charter Commission. She was on the Chamber of Commerce Board. She sat on the Provincetown Cultural Council of the Mass. Cultural Council. And she was active in the Democratic Party. Thank you Judy for all your have done in this spit of land we call Cape Cod. The Community already feels the loss. This scholarship is given to a deserving artist whose primary medium is painting. It is awarded once a year to an artist accepted into the Artist Residency Program at Edgewood Farm (first residency dates TBA). The scholarship provides funding for a one month residency period at Truro Center for the Arts at Castle Hill at our Edgewood Farm Campus. Click here for more information about the Edgewood Farm Residency. The scholarship honors the legacy of two unique masters of painting: the husband and wife team of Robert Henry and Selina Trieff. 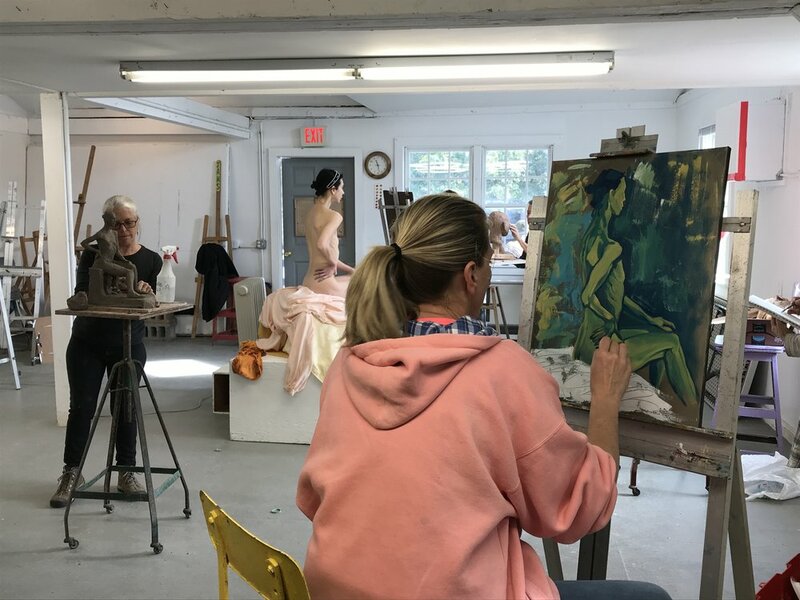 Their exemplary work and support for the arts is intricately connected to the Cape Cod arts community. Selina Trieff passed away in 2014, Robert Henry and Selina Trieff (in memoriam) were honored at a Board-hosted New York City Event in April 2016 and in their honor Castle Hill created a Scholarship. 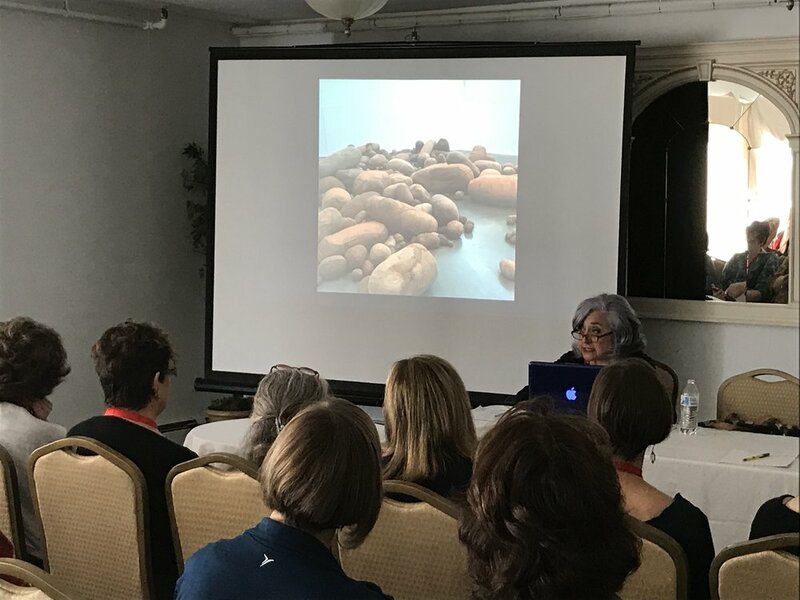 In honor of our friend Binnie Birstein, Castle Hill is starting a new scholarship program to cover the cost of tuition for the 13th International Encaustic Conference of 2019 (and future years) as well as a workshop during the Pre or Post Conference. Binnie has recently passed away from pancreatic cancer. She attended all 11 of the previous International Encaustic Conferences, She was a teacher during the Pre or Post Conference Workshops in Intro to Encaustic Painting, Working Big, Taking Your Work to the Next Level, she also presented her interactive talk, Wax or What?, with images accumulated during her travels to Europe and Japan, she also participated on a panel of people who attended all conferences for 10 years. Binnie touched so many lives with a gift of teaching! I would like to make a donation in the honor of someone. When you check out, please put that in the comment section. Thank you so much for helping us reach our Challenge Goal! Become a Member to receive discounts on classes!